VANCOUVER — The best journeys are never scripted and always organic. They test mettle, and in the best instances, wind up revealing a level of poetic gleam only possible through the hard steps of revival and re-invention. 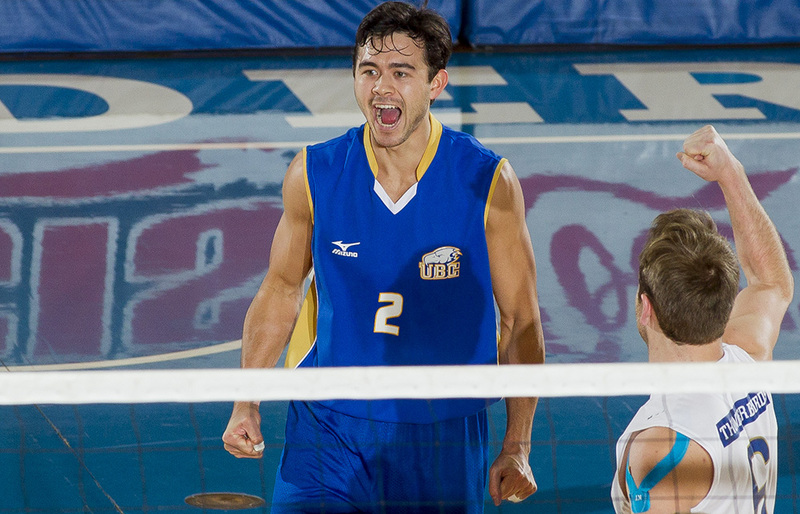 Yes, intangibles can only be described in the figurative sense, yet ask Ben Chow about the meaning of his renaissance, and the 25-year-old redshirt senior with the UBC Thunderbirds’ volleyball team could write a master’s thesis. Surgery for a chronically-separated shoulder, then extended rehab for a dislocated ankle and a blown posterior cruciate ligament in his knee effectively forced him to limp away from the game for two seasons. Yet seven years after he first came to the Point Grey campus as a 17-year-old freshman from Surrey’s Fleetwood Park Secondary, he is back. And the re-invention is indeed poetic. Chow, who in the spring will don cap and gown for the second time on campus, adds a degree in computer science to the one he earned two years ago in kinesiology. And perhaps most poetic of all? As part of a directed study in his new major, the kid who was so injured over his first four seasons of play with the team, is now the young man developing a software system which, with collected data, will help minimize injuries and maximize performance. 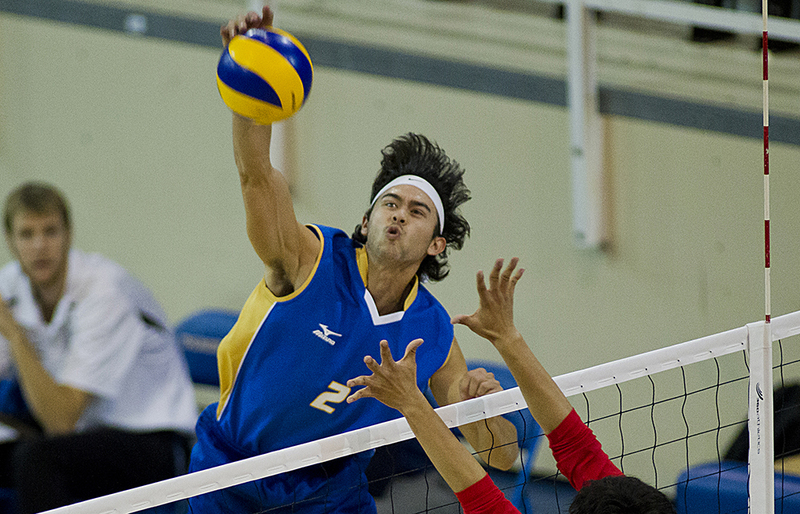 Chow came to UBC as a kinesiology major, and while he battled injuries on the volleyball court, including the shoulder surgery which forced him to miss his entire second (2011-12) season, he also battled with his choice of academic direction. “The end goal was to go into physiotherapy, but then in the end I wasn’t completely committed and I wasn’t sure exactly what I wanted to do,” says Chow, who nonetheless graduated with his first degree after the 2014-15 school year. The tech world was always something that interested him, and when UBC started a new, two-year degree-granting computer science program in 2015 for those who had already attained a degree from the school, Chow decided to jump in head first. One year previous, Chow had not only injured the PCL in his knee early in the volleyball season, he suffered a dislocated ankle in the second set of the Canada West semifinals against the Alberta Golden Bears. Still, he couldn’t stay out of the gym and away from the teammates he had grown so close to over the years. The contrast in experience that Chow brings in his return to the UBC lineup is pronounced. 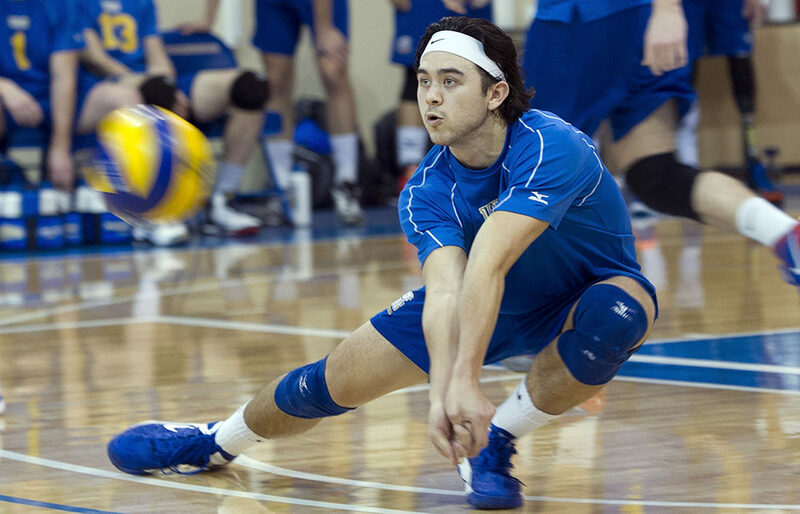 All of this season’s pure freshman, like phenom hitter Fynn McCarthy, were only in the sixth grade when he came to UBC as member of the 2010 freshman class. Now, perhaps in part as a treaty with his now-healthy body, Chow is switching from left side hitter to defence-only libero. “He is learning how to play that position and he is learning how to make an impact,” says MacDonald, who not only has confidence in the positional switch, but in the intangibles Chow brings upon his return to the program. Of course, he is also supplying his analytical mind to making the program better. MacDonald, through the use of portable load-monitor devices worn by players, measures among other things, the volume of jumping and the pain threshold each will experience during training sessions. In turn, that data is being translated by Chow into news his team can use. And so for one final season, the stars will align for Ben Chow. The dream would be to win a national championship, then take his two degrees off into the real world. “Ideally, the end goal for me is to be working in a field that combines fitness and tech,” he says. Unscripted and organic, his experiences have been the stuff that defines every great journey.